My 5: Hiking The Great Wall of China, Mutianyu. 1. June 2014. 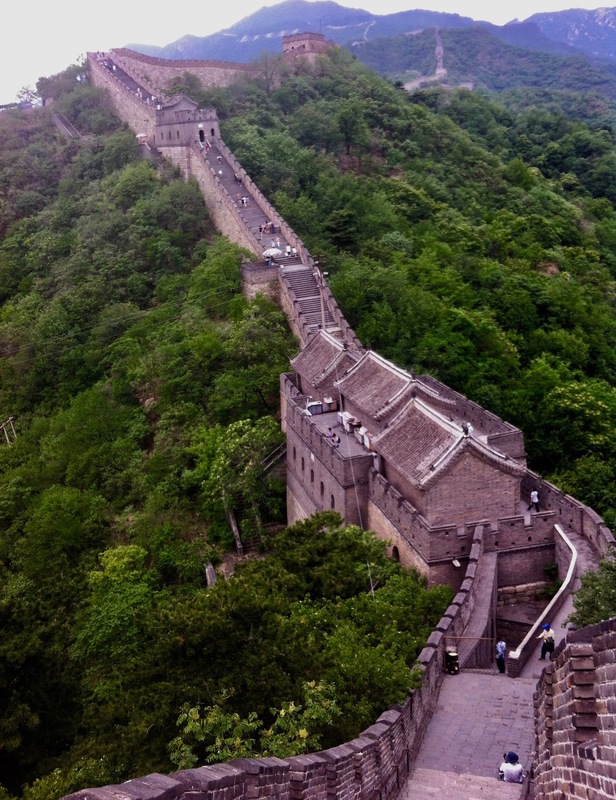 Located just seventy kilometres northeast of Beijing, Mutianyu is a fully restored section of China’s Great Wall ideal for those looking to strike a balance between convenience and authenticity. Having already hiked the stunning and somewhat wild Jinshanling to Simatai section four years earlier, this was my second Great Wall experience and I was keen to see how Mutianyu measured up. 2. June 2014. The original section of Mutianyu dates back over 1400 years ago to the days of the northern Qi Dynasty. Today, just a fraction of its original length (2.5 kilometers to be precise) stands as a tribute to its original glory in an engineering feat one Chinese historian referred to as “a masterpiece of restoration”. As with most restored sections around the country the route is peppered with watchtowers and Mutianyu has twenty-two of them. Keep an eye out for Watchtower 6 where, if you’re so inclined, you can take a toboggan ride back down to Mutianyu basecamp! 3. June 2014. My travel buddy that day was Anthony, my neighbor, teaching colleague, horror buff extraordinaire and all round trusted mucker. 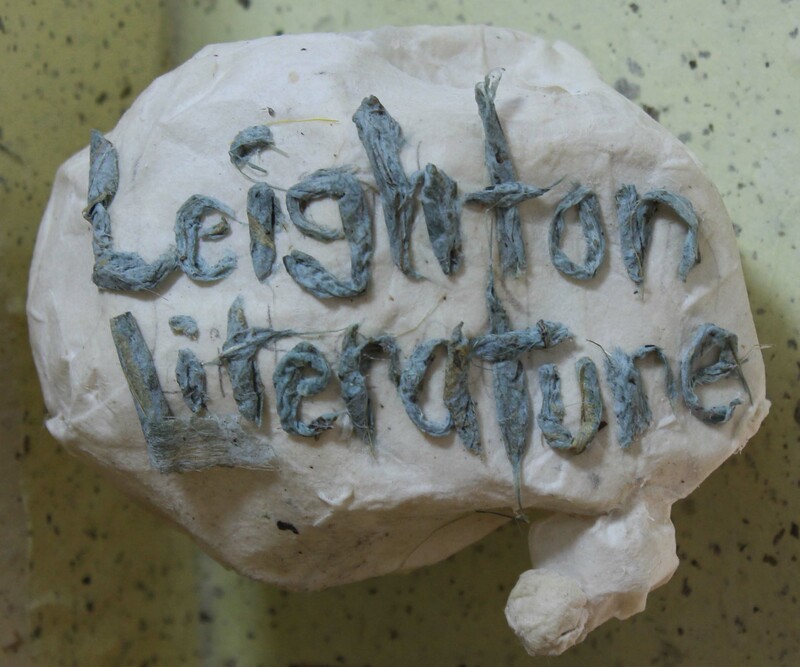 This was also the man who designed, hand built and photographed the Leighton Literature speech bubble, along with the papier-mache Leighton at work image on the homepage. 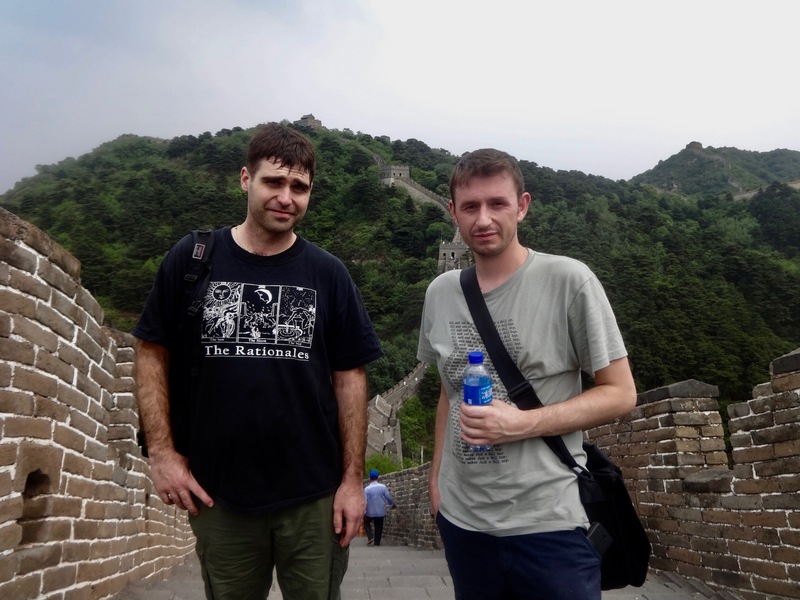 It was Anthony’s maiden Great Wall experience that day and, like me, we both felt Mutianyu was a decent Great Wall experience thanks in large part to the lack of foot traffic. 4. June 2014. There’s some very nice mountain scenery on offer too, though in all honesty nothing to rival the grandeur of the Jinshanling to Simatai hike. I also felt that while the fully restored Mutianyu was wonderful on the eye, it lacks the edgy charm of Jinshanling with its rubbly staircases and plant-infested watchtowers. In truth it was a bit of an anticlimax when, having reached the end of the 2.5 kilometer walk, the path simply comes to a bricked up dead end, leaving you to simply turn around and retrace your steps back to the start. Still, these are minor complaints in the grand scheme of things and for many Mutianyu will tick all the boxes for a solid Great Wall experience. 5. June 2014. To get to Mutianyu the fastest public bus is the 916 from Beijing’s Dongzhimen Bus Station. It’s about an hour and forty minutes to Huairou and tickets are 30RMB (£3.40/€3.80/$4.30). From Huairou you’ll need to hop in a taxi for the fifteen-minute drive to the Mutianyu entrance. Entrance is priced at 45RMB (£5/€5.60/$6.50) between the hours of 07:30-18:00 (April to October) & 08:00-17:00 (November to March). There’s also a cable car option which works out at 120RMB (£13.40/€15/$17.30) for a return ticket. All in all I’d say Mutianyu was a worthy addition to my Great Wall canon, but not the ideal spot for thrill seekers who might only get one shot at hiking the wall. In that sense Jinshanling to Simatai is a much better option and worth the extra travel time. Like this? Read about more of my adventures from The Great Wall of China. You can also check out my stacks of travel reports from all around China. I’ve been living, working and traveling all over the world since 2001, so why not have a leaf through my huge library of My 5s from over 30 countries. My 5: Hiking The Great Wall of China, Jinshanling to Simatai. 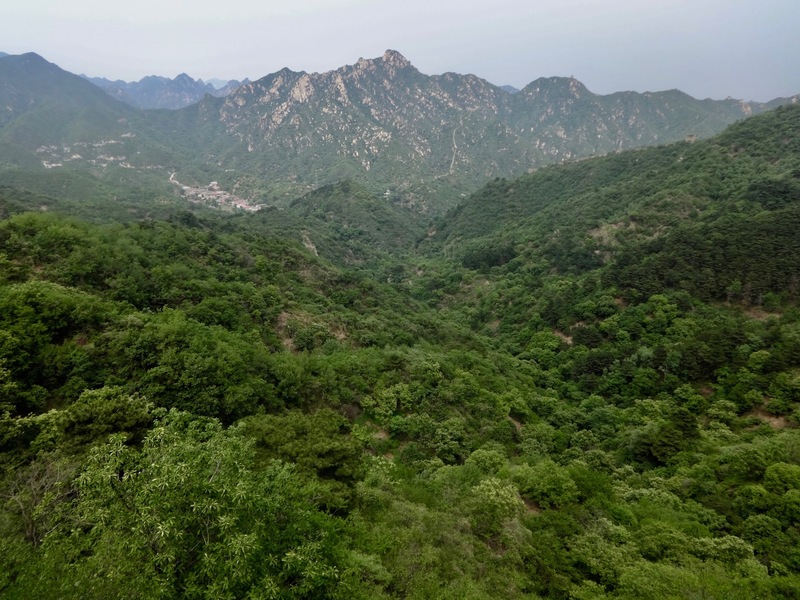 My 5: Hiking The Great Wall, Hushan Tiger Mountain.